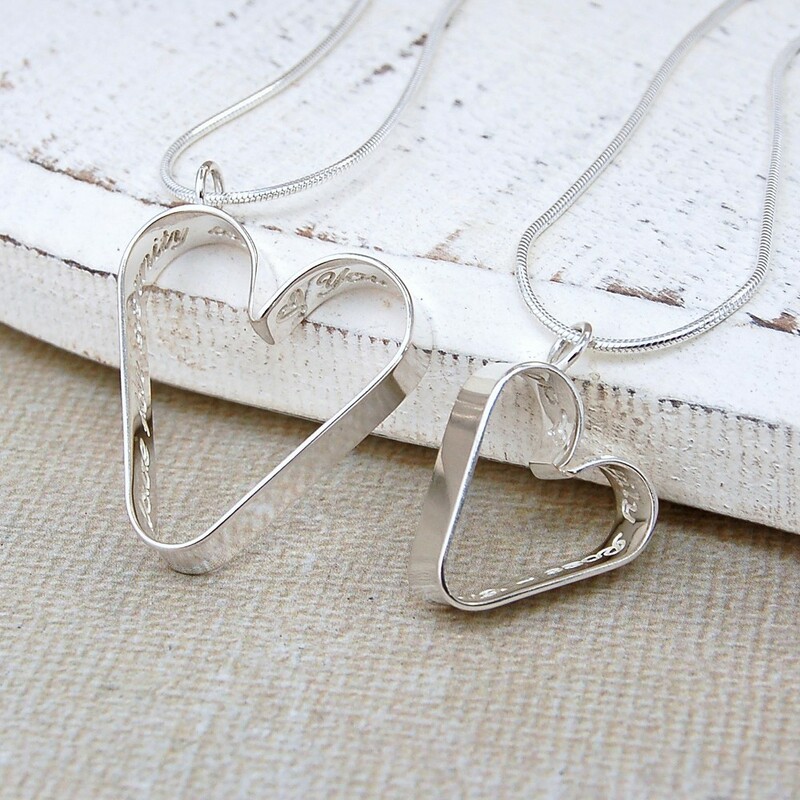 A stunning set of matching Personalised Silver Secret Heart Necklaces in different sizes, perfect for Mother and Daughter or Bride and Bridesmaids. 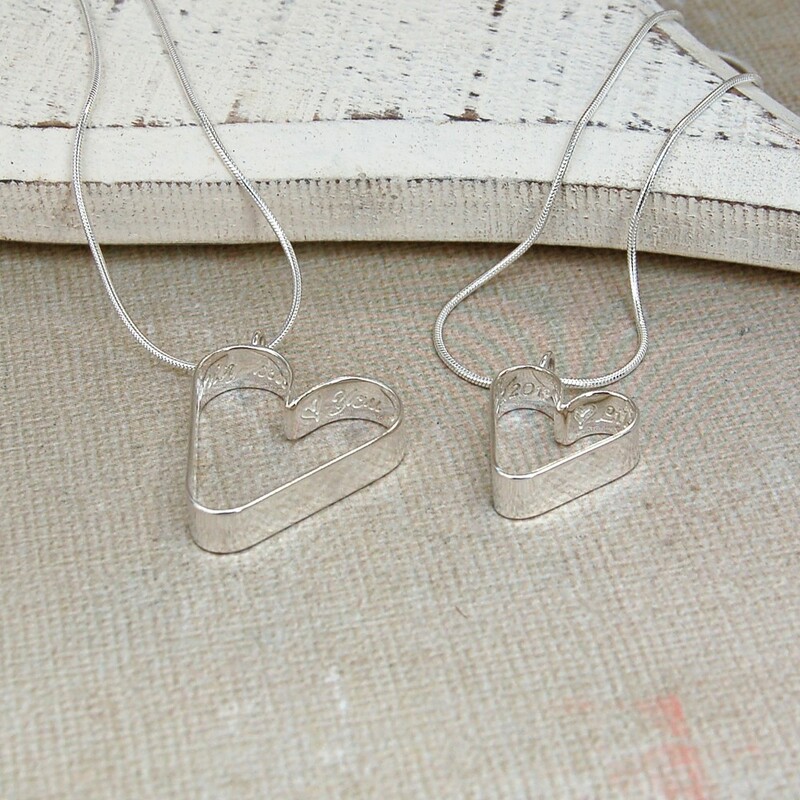 A beautiful and original gift for Mother and Daughter where they can both have their own version of our best selling Personalised Silver Secret Heart Necklace. 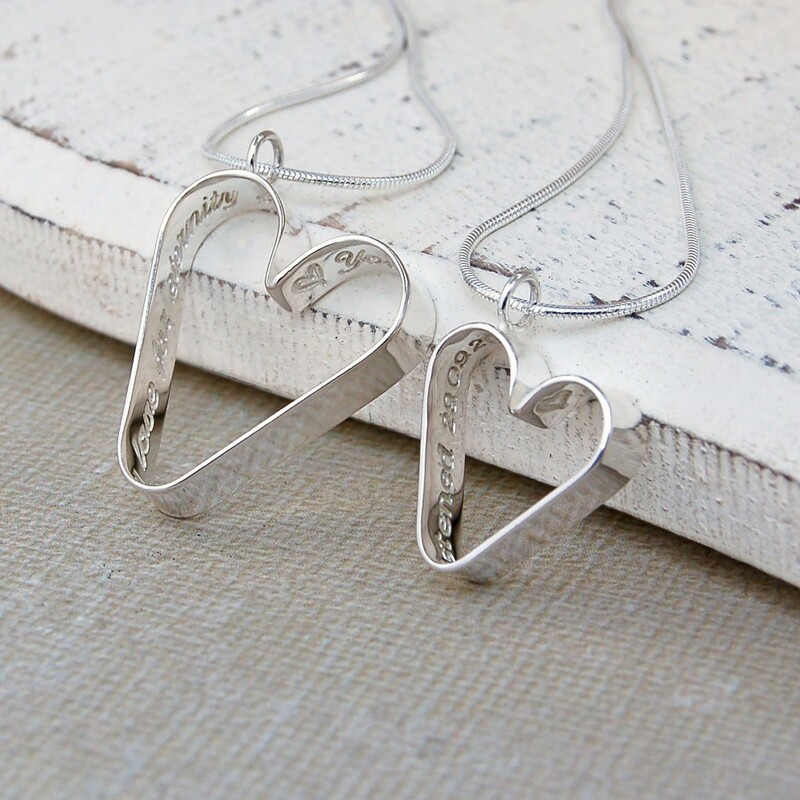 Your own personal messages will be etched deep into sterling silver sheet which is then formed into a contemporary open heart shape with the message on the inside so that it is secret to the wearer. This necklace set also makes a great gift for Flower Girls and the Maid of Honour, or even the Bride and Bridesmaids as multiple small hearts can be purchased. 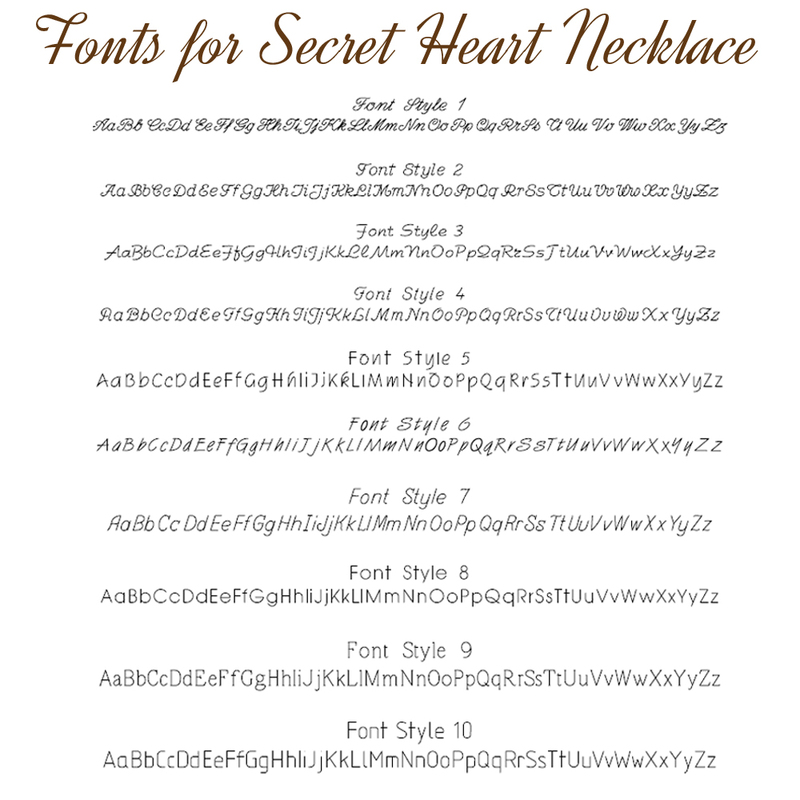 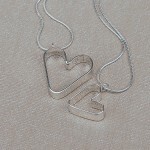 Your message on the adults necklace can include up to 45 characters and on the childs necklace up to 33 characters. 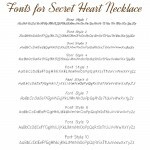 You could have the same or different messages on each necklace, or even split one message across both necklaces, so that when together they make a meaningful message complete. You can also choose to add the hand drawn hearts at the beginning and end of the message. 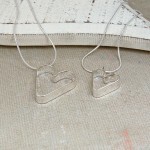 You can also choose to have additional small heart necklaces if you have more than one daughter or for bridesmaids. 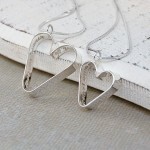 All components of these original contemporary necklaces are sterling silver. 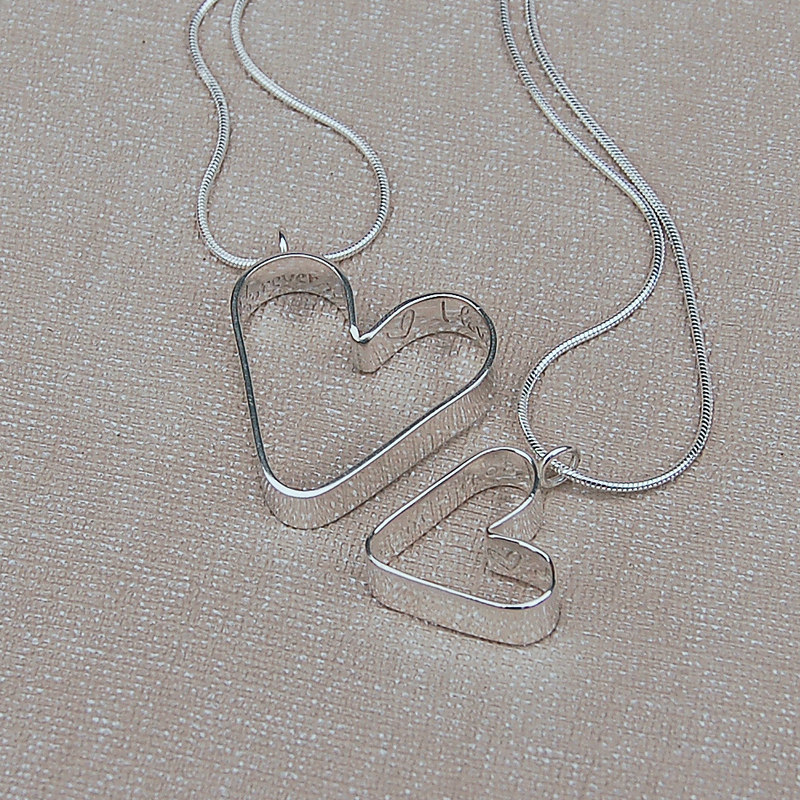 The larger heart measures just under 3cm from top to bottom (excluding the hanging loop) and 2.5cm across the widest point and hangs from a sleek sterling silver snake chain which is available in a number of different lengths and the smaller heart measures just unders 3cm from top to bottom (excluding the hanging loop) and 1.8cm across the widest point and hangs from a sleek sterling silver snake chain which measures 16″ (40cm) in length.